SAN DIEGO — U.S. border authorities arrested dramatically more immigrant families at the Mexico border in August compared to previous months in a spike that a Trump administration official said Wednesday was the result of "legal loopholes" allowing children to avoid immediate deportation to their homelands in Central America. The number of families arriving at the Mexico border reached 15,955, up from 12,274 in July, according to Customs and Border Protection. Families accounted for more than one-third of people who were stopped at the border. Commissioner Kevin McAleenan called the increase "a direct response to gaps in the legal framework," adding, "we're not surprised by it, but it's been a very stark trend." The numbers offer a glimpse into the impact of the Trump administration's "zero tolerance" policy on illegal crossings introduced in April, which resulted in the separation of more than 2,500 children from their parents. President Donald Trump effectively ended the practice of separating families in June amid heavy criticism. 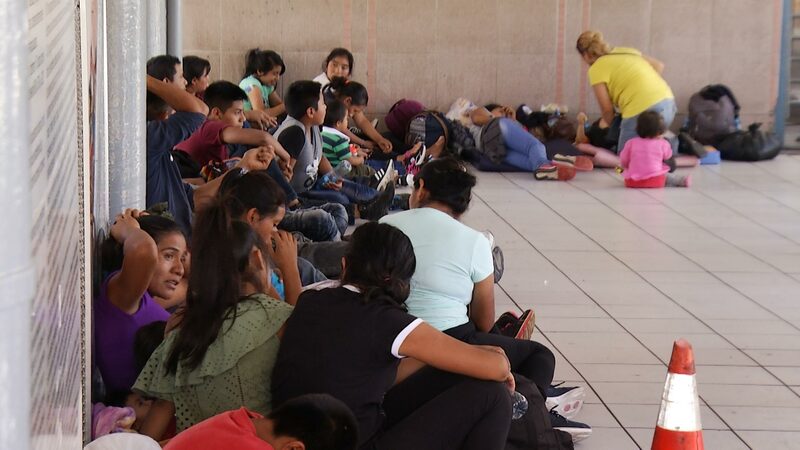 Administration officials have been encouraging asylum seekers to turn themselves in at official border crossings, instead of going around them, but the August figures suggest that message isn't getting through. The CBP commissioner, a Trump appointee, called the situation "a crisis of significant proportions from a humanitarian perspective and a security perspective." Family arrests by the Border Patrol, a component of Customs and Border Protection that polices between ports of entry, soared to 12,774 in August from 9,281 in July. The increase in families arriving at official crossings climbed only slightly, to 3,181 from 3,027. Administration officials said that ending the so-called Flores agreement of 1997 will speed up the handling of asylum requests while also deterring people from illegally crossing the border.